Mineral trioxide aggregate (MTA) is composed of Portland cement, with 4:1 addition of bismuth oxide added so that the material can be detected on a radiograph. The cement is made up of calcium, silicon and aluminium. The main constituent phases are tricalcium and dicalcium silicate and tricalcium aluminate. There are two commercial forms of MTA, namely the grey and the white. The difference between the grey and the white materials is the presence of iron in the grey material, which makes up the phase tetracalcium alumino-ferrite. This phase is absent in white MTA. Hydration of MTA occurs in two stages. The initial reaction between tricalcium aluminate and water in the presence of calcium sulphate results in the production of ettringite. Tricalcium and dicalcium silicate react with water to produce calcium silicate hydrate and calcium hydroxide, which is leached out of the cement with time. Aim: To evaluate and compare the antibacterial activity of polymerized, two-step, self-etching and one-step, self-etching adhesive systems by using the direct contact test after one, seven, and fourteen days. 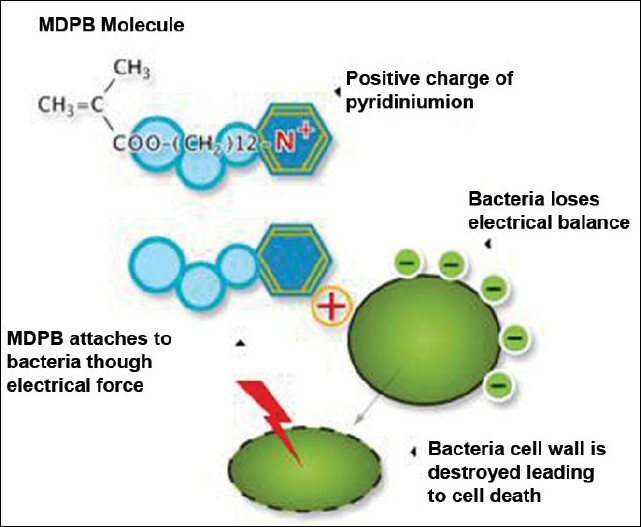 Materials and Methods: The direct contact test was used to evaluate the antibacterial activity of Clearfil Protect Bond, Adper SE Plus, Clearfil SE Bond, and Adper Easy One on Streptococcus mutans after aging the samples in phosphate-buffered saline for one, seven, and fourteen days. Statistical analysis included the one-way Anova and Tukey's multiple comparison tests. Results: Among the tested materials, Clearfil Protect Bond exhibited an antibacterial effect for seven days when in contact with S. mutans . None of the adhesive systems exhibited any antibacterial effect after 14 days. Conclusion: The incorporation of antibacterial agents into dentine-bonding agents may become an essential factor in inhibiting residual bacteria in the cavity following a cavity disinfection procedure, and it could be recommended in situations where total disinfection of cavity is not accomplished due to lack of accessibility. Aim: The aim of this study was to test the hypothesis that bonding to caries-affected dentin would yield strengths that are lower than bond strengths achievable when bonded to normal dentin. Dentin-bonding systems used in this study were fourth and fifth generation as well as self-etching primers. Materials and Methods: Forty-eight freshly extracted mandibular and maxillary molars were selected of which 24 were caries-affected teeth and the remaining were noncarious teeth. Random sampling was done with eight teeth in each group based on the bonding system used. In caries-affected teeth, the soft, stainable, caries-infected dentin was excavated using a caries detector dye whereas the hard, caries-affected, nonstainable dentin was retained. All the teeth were subsequently mounted in a suitable acrylic mould. Prepared teeth were restored with a single composite resin, using three different dentin bonding systems. These prepared specimens were transferred to a Hounsfield tensometer to measure the shear bond strength. The results obtained were analyzed using Anova, Student's unpaired t-test, and Student Neuman Keulis test. 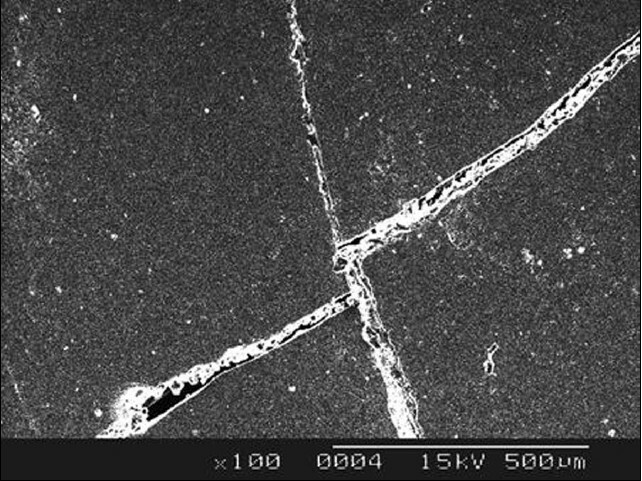 Results: The results showed that the self-etching primer required the highest mean shear load compared to the fifth and fourth generation dentin-bonding systems in both normal dentin and caries-affected dentin. Conclusion: Bond strength to dentin depends on whether the dentinal tubule is open or occluded. Within the limitations of this study, it was observed that bond strength to caries-affected dentin was low compared to normal dentin. Aim: The rising demand for aesthetic adhesive restorations has led to the wide use of composites. Multilayer techniques are recommended for the success of these restorations. However, this technique of layering causes the problem of interlayer adhesion, thus supporting the influence of the oxygen-inhibited layer. This study sought to test the hypothesis that the oxygen-inhibited layer increases the shear bond strength of composite resin by allowing the resins on both sides to cross the interface and form an interdiffusion zone. Materials and Methods: A microhybrid composite resin, Charisma, and a nanofill composite resin, Solare, were used in this study. 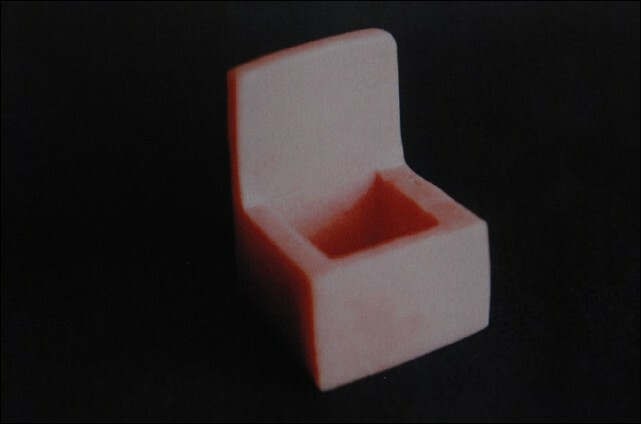 Cylindrical specimens of the composites of 5 mm diameter and 6 mm height were prepared and embedded in acrylic resin moulds after curing. Curing was done in an argon atmosphere to prevent the formation of the oxygen-inhibited layer. To clinically simulate an inert atmosphere, a cellophane matrix strip was used during the process of curing. Results: Shear bond strength of the specimens was tested using a universal testing machine and the results were tabulated and statistically analyzed. Complex and unusual root canal morphology is an often occurring phenomenon. Understanding the unusual root canal morphology contributes to success in endodontic treatment. One such variant root canal morphology is the 'S' shaped or bayonet shaped root canal. 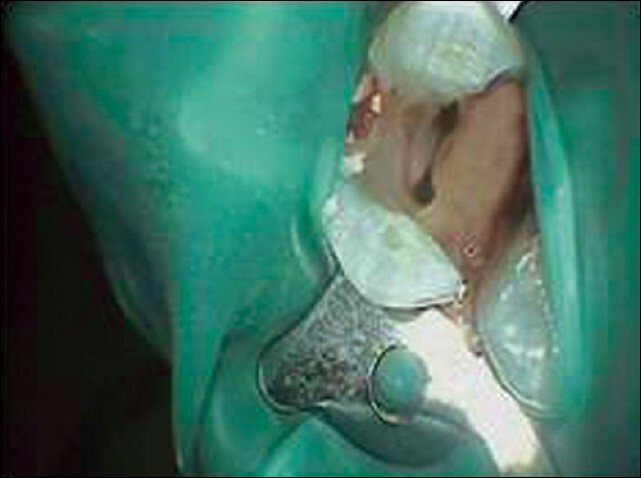 This case report discusses endodontic treatment of a maxillary second premolar with an 'S' shaped root canal.